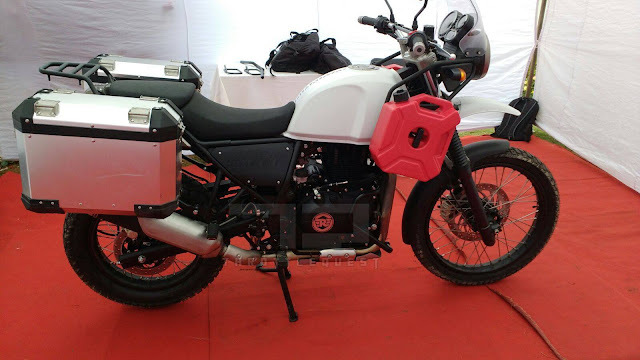 Home > royal enfield reliability > Does Royal Enfield Himalayan promo vid score own goal? Does Royal Enfield Himalayan promo vid score own goal? BIKE promo videos are a bit like motorcycling’s equivalent of the pictures in fast-food restaurant menus, or of models on the walls of hairdressers. It’s a manufacturer’s opportunity to make even an unremarkable product shine. To show it at its unrealistic best by putting it in the hands of an expert and leaving all but the most flattering footage on the cutting room floor. Which, some Visordown have noted, is perhaps where the moment shown at 1m53s of a Royal Enfield Himalayan promo video should have wound up. Within minutes of Visordown publishing the video, readers began to comment that it shows the rider’s peg snapping off as the bike lands after a jump. 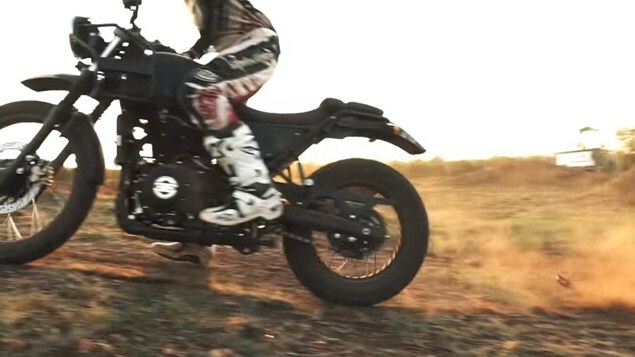 The above still of the moment shows the rider’s right foot off the peg, and visible below the 410cc adventure bike's steel cradle frame. Behind the bike, tumbling in the dirt, is the peg. A moment later the rider, Indian Dakar veteran CS Santosh, appears to looks down to where the peg should be, his right leg now extended away from the bike. The first comment under Visordown’s story yesterday was from Rafz, who wrote: ‘Gosh.. at 1:53 if you look with attention, the bike lose the right footpeg in the dirt after a silly jump..
Snave added: ‘And by golly he's right - the footrest falls off! ‘RE so need to get some decent PR and Marketing people. Rogerborg captured the moment and circled the clues in a picture which we’ve reproduced above (thanks Rogerborg). He wrote: ‘Yup, the peg snaps after it completely bottoms out. What an absolutely typical piece of marketing from the geniuses at Royal Enfield. He said the bike would be launched in India on February 2 and would initially be sold there only.